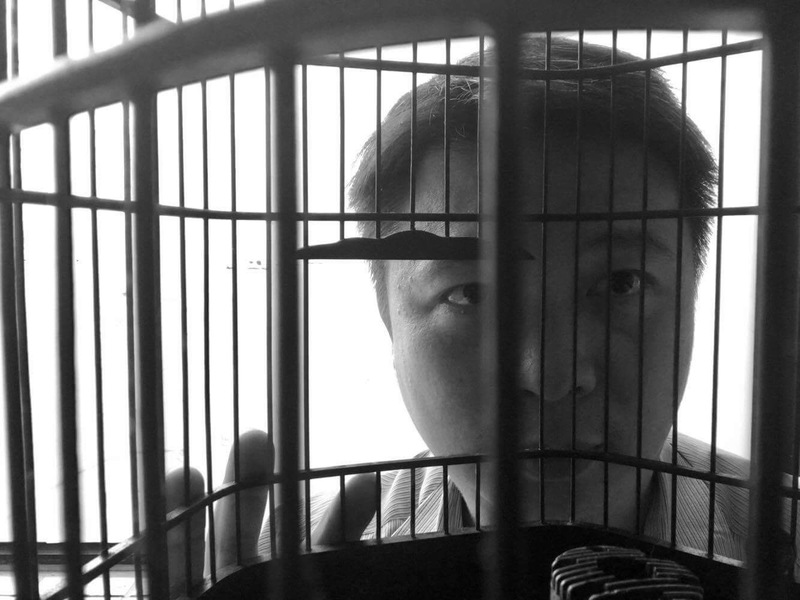 Taipa Village Cultural Association proudly presents local established artist Allen Wong’s solo exhibition “Who am I”, showcasing two sets of artistic expressions – video installations and mixed media installations, which are based on Wong’s recurrent theme of traditional Chinese bird cages. The four video installations, entitled Southeast Southwest, Fan, East West Path and What Do you Want, explore the concept of the thaumatrope*. The exhibition aims to reflect the relationship between freedom and human society. This exhibition presents Wong’s most intimate and fragile self, by looking into his inner beliefs in order to make sense of the daily contradictions, overcome life’s struggles, surpass moral obstacles and progress with his artistic ambitions. It is, in fact, an exposition of his search for freedom of thought and how to maintain the strength of identity. This challenging path has taken shape in the form of two sets of artistic expressions – video installations and mixed media installations, which are based on Wong’s recurrent theme of traditional Chinese bird cages. These four video installations, entitled Southeast Southwest , Fan , East West Path and What Do you Want , explore the concept of the thaumatrope*. 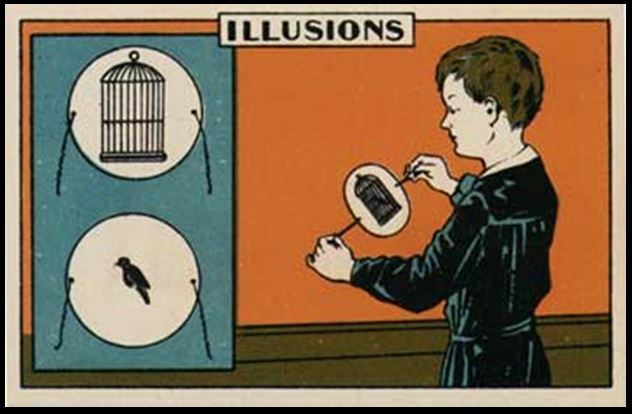 These are visual devices that use the bird cage, essentially charged with symbolic meaning, to serve as a background screen for a video projection. In addition, the cage is mechanically triggered to rotate on its own axis, creating the optical illusion of a cylindrical surface. The combination of both symbolic object and digital medium is Wong’s attempt to deconstruct the complexity of his emotional state into several layers of interpretation, presenting a thought-provoking kinetic artwork and eye-catching experience seldom seen in the local artistic scene. These three mixed media installations , entitled Gaze, Messiah and Silence follow the development of the bird cage theme. All of them present the same round-shaped white support with variations on the figurative representations of a bird. On close inspection, the unexpected element is the artist’s choice of recyclable materials, i.e. the concoction of rubber tires, gas connection valves, electrical wires and, of course, disassembled parts of bamboo bird cages. However, those who know Wong’s previous work made with recyclable egg cartons can acknowledge the same moral obligation of citizenship in conveying the principle of sustainability and found objects. Note: *The thaumatrope, made popular by British physician John Ayrton Paris (1824), an optical toy from the Victorian age; a disk with a picture on each side is attached to two pieces of string. When the strings are twirled quickly between the fingers the two pictures (e.g. bird and cage, flowers and vase, etc.) appear to blend into one due to the principle of persistence of vision – the eye’s ability to retain an image for roughly 1/20 of a second after the object is gone. Wong Soi Lon (Allen) is a local, established artist who graduated with a Bachelor’s Degree in Art Education in 2002, followed by a Master’s Degree in Contemporary Art in 2008 from South China Normal University. He is currently a fine art teacher in a secondary school in Macau, and also acting as the director of Macau Artist Society and a member of the Macau Youth Committee. He has been holding solo exhibitions since 2005 in different cities and countries, including Macau, Portugal and France, as well as a number of joint exhibitions in Macau, Hong Kong, China, Singapore and France. His recent solo exhibitions include Onlookers – Works by Allen Wong in Macau Art Garden, 6075 Macau Hotel Art Fair in Regency Art Hotel in 2016; Art Exhibition by Wong Soi Lon in Portuguese Bookshop Macau, Cage Game – Installation by Wong Soi Lon in the Macau Museum of Art in 2014 ; Cage Break in the Vantag Gallery in Porto, Portugal in 2013; Wong Soi Lon Solo in Art Gallery of Casino Estoril in Lisbon, Portugal, Liberal Bird in the De Gaulle Chinese Library in Paris, France, Dragon Interception: Little Dragon Asking For Direction at Art for All Society (AFA), Macao and Cage Break at the Rui Cunha Foundation, Macao in 2012. His collective exhibitions include the 2nd Korea‧Hong Kong‧Macau Joint Art Exhibition in 2011, and Works by Young Members of the Macau Artist Society in 2010 and 2011, respectively.